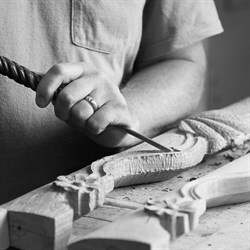 With a reputation for creative collaboration that generates the finest craftsmanship, renowned design and esteemed style, Baker associates—from master artisans to sales associates to showroom managers—possess a diverse range of skills throughout a wide range of career opportunities. We invite you to share your creativity, talent, ideas and expertise with us. Baker, a premier manufacturer and designer of fine home furnishings, has a rich history of distinguished craftsmanship. What began as a humble cabinet shop in the 1890s has evolved into a glamorous global company with a spot on the world stage of prestigious design. Baker is a company where talented associates join forces to make their mark. This is a place where you can apply your skills, find your niche and achieve your goals. Explore Baker and find your place.